Grace Hollett, National CFUW President, joined the Table Hoppers group on Wednesday, Oct 17 at Portobella in Picton. After Grace explained that she had never been to ‘The County’, Club President Laura Hare made a scenic detour to Lake on the Mountain before driving Grace to her son’s home near Plainfield. This entry was posted in Interest Groups, National, Uncategorized. CFUW is writing to introduce clubs to a National Initiative of a Status of Women Subcommittee. The initiative is a research project titled, “Preventing and Responding to Violence Against Womenand Girls: Sexual Assault Policies in Post-Secondary Institutions in Canada”. The purpose of the project is to determine whether post-secondary institutions have sexual assault policies and, if so, how do the policies work in practice. We are inviting individual members to participate in the project as volunteers by completing a questionnaire. This requires doing internet research towards finding sexual assault policies at post-secondary institutions, examining the policies, and completing a questionnaire about the policies. This entry was posted in Members, National. The local Resolutions Meeting will be held on Thursday, January 29th at the home of Penny Hendricks. Please contact her if you wish to attend. To: All Club Executives; the Board of Directors; Regional Directors; Standing and Special Committee Chairs; Board Alumnae; and Members at Large The proposed resolutions (.pdf) for consideration at the CFUW Annual General Meeting (AGM) in Quebec City from June 18-21, 2015 can be downloaded here. This entry was posted in Meetings, National, Uncategorized. See the details on the National News page. This entry was posted in National. We were represented by a number of our local members at the recent National AGM in Waterloo. Pictured here are Penny Hendricks, Cathy Warren and Leanne Moody. 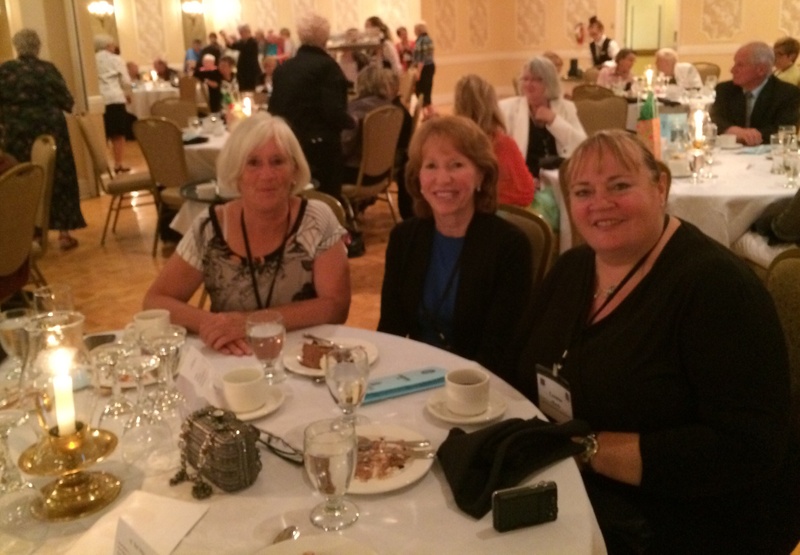 P. Hendricks, C. Warren and L. Moody recently attended the National AGM in Waterloo. This entry was posted in Meetings, National, Special Event, Uncategorized.